Click here for National EDS site. Since its charter was enacted in the United States in 1899, The Salvation Army has provided emergency services to individuals and communities affected by disasters and other catastrophic events. The Salvation Army’s first major disaster response operation was in 1900 after a devastating hurricane hit Galveston, Texas. The hurricane killed more than 8,000 people and obliterated more than 3,600 homes, nearly half of the city. National Commander Frederick Booth-Tucker ordered Salvation Army officers from across the country to the stricken city to provide spiritual comfort and practical aid to the survivors of the storm. Since then, The Salvation Army has been on the scene of thousands of disasters honoring a century old commitment to serve those in need, at the time of need, in the place of need. In 1970, federal law reaffirmed The Salvation Army’s authority to provide disaster assistance with the passage of the Robert T. Stafford Emergency and Disaster Assistance Act, which also created the Federal Emergency Management Agency. 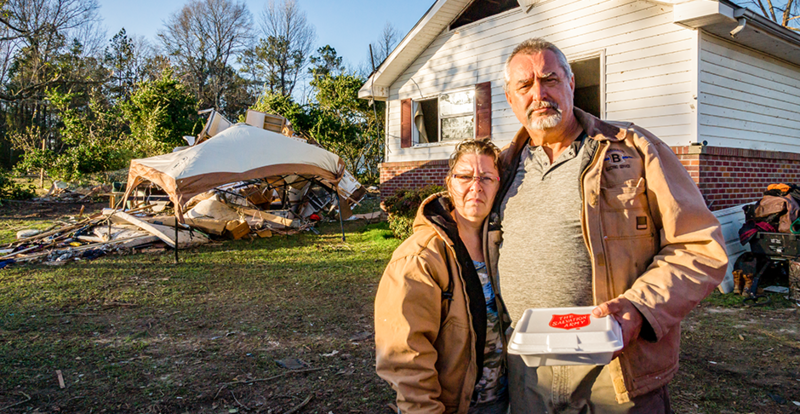 Even after a disaster becomes “old news,” The Salvation Army remains on the scene, cleaning, rebuilding and helping to restore lives to normal. The Salvation Army offers help and comfort to those in crisis. We are no strangers to severe weather here in Alabama, Louisiana and Mississippi. In fact, we are among the hardest hit in the nation.